Every spring, there’s an illness that sweeps through the posh arrondissements of Paris. An illness so serious it makes the expat moms go crazy. Where’s the best place to find one? What are the tax advantages to having one? Curing this crazy illness can cost upwards of a several hundred thousand euros. At least. It’s called the COUNTRY HOUSE COMPLEX. Montanta Mom: Oh hey (kisses on both cheeks). Come over here! (whispering) Can you believe how gorgeous this place is? Do you have a country house? Kansas Mom: Nope. Don’t want one. There’s so much to do in Paris every weekend, why would we leave? Do you have one? Montana Mom: Oh no, we can’t afford one, but everyone has one and I want one too. What’s the secret? London Mom: Nigel got his bonus and it’s enough to buy the country house we fell in love with in Brittany. We can start decorating in May, which means everyone from playgroup can come for a Saturday play date and barbecue in June! Los Angeles Mom: Be careful who you invite! We never invite American friends to our country house. It’s just too risky. You never know who’s jealous and will send the IRS a letter informing them that so-and-so isn’t claiming a secondary foreign residence on their taxes. It happened to San Diego Mom a few years ago and she’s had nothing but audits since then. Chicago Mom had a serious case of the Country House Complex a few years ago. She coveted one and made no secret of it. Told everyone the minute she had a country house she'd have a big housewarming party weekend. Then she finally got her beloved country house. Curiously, though, none of her friends were ever invited to her second home even though it was only a short trip from Paris. It turns out her “country house” was located next to the airport. Technically, it's in the country, but not the *real* French countryside. Not exactly the kind of country house that her expat friends from the 16th arrondisssement own. Denver Mom: We’ve got plumbing problems at the country house. I’ve got to go to Bordeaux in the middle of the week to meet the plumber. I’m dreading it. NYC Mom: I hear ya. Nicolas-Pierre makes his assistant take care of our country house management. Business is slow so it gives her something to do all day since there’s not much else going on. Denver Mom: Of course she’s busy all day! You’ve got three country houses for her to manage! NYC Mom: Don’t advertise to everybody that I have trois country homes. They’ll be jealous -- like you! The Country House Complex will be sweeping through the Paris mommy scene starting April 1st. Get ready! Does the economy have you down? Need a vacation, but can't afford a trip to Paris? 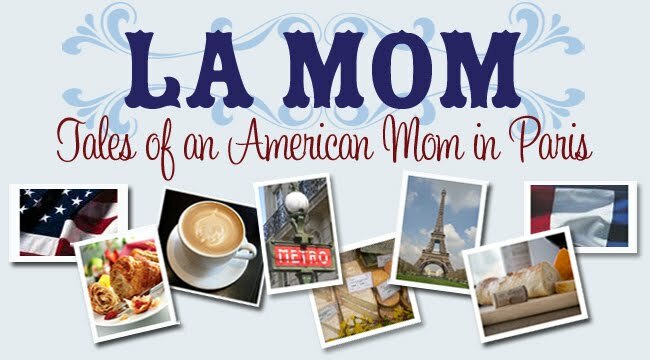 Rendez-vous at La Mom's blog every week or daily on Twitter for an inexpensive trip to Paris! i keep hoping for a transfer to paris with my husband's company. they have amazing corporate housing there for employees. maybe that package includes a country house. take care, La Mom and enjoy the spring. Now I have a country house complex!!! Will somebody invite me, Oklahoma Mom? Well, I have one...it comes with a french mother-in-law in the house next door, burst pipes every winter, mice or the traces of their passage, and barely a season when there isn't something to be done to it! So hold on to your complex, you may just be better off! ha,ha I'm enjoying reading your stories. I feel like I'm there listening in to the conversations of the moms. Especially between Denver mom and NYC mom. I couldnt think you are more right!! !